SAN FRANCISCO: Despite Amazon Alexabeing more popular globally, Google Assistanthas outperformed her — and other voice assistants like Apple Siri — in a test meant to understand the effectiveness of smart speakers. In the 2018 edition of “Smart Speaker IQ Test” by research-driven venture capital firm Loup Ventures, Google Assistant (tested on Home smart speaker) managed to answer 87.9 per cent of the questions correctly — up from 81.1 per cent in 2017, The Street.com reported on Sunday. Alexa (tested on Amazon Echo smart speaker) saw its accuracy improve to 72.5 per cent from 63.8 per cent and Microsoft Cortana (tested on Harman Kardon’s Invoke speaker) improved to 63.4 per cent from 56.4 per cent. Interestingly, Alexa was not the leader in the shopping category — despite Amazon heading the global e-commerce space — as Google Home returned more correct answers when asked about product information. 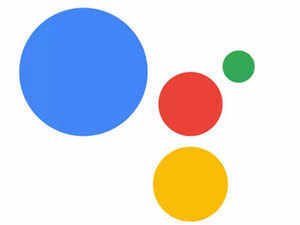 “Google Assistant was the only assistant to properly understand all 800 of the questions, but the others were able to understand 99 per cent or more,” said the research firm. Apple Siri (tested on HomePod speaker), got 74.6 per cent of the questions right, up from about 52 per cent. The common set of 800 questions were split into five categories – Local information, commerce, navigation, information in general and commands. Of the five categories, Google Assistant came first on all, except for commands, where it finished second to Siri. Google Assistant and Siri were well ahead of their peers in the local information and navigation categories. Google’s Artificial Intelligence (AI) and Machine Learning (ML) abilities have bolstered Assistant and so has integration with Google Search and its Knowledge Graph, noted the research. Amazon and Google accounted for 70 per cent share of the global smart speaker shipments in the first quarter of 2018. With 43.6 per cent market share, Amazon shipped an impressive four million smart speakers, said market research firm Strategy Analytics. Google (26.5 per cent market share with 2.4 million sales) and Chinese e-commerce giant Alibaba (7.6 per cent market share) consolidated their number two and three rankings. Led by Amazon, the smart speakers category in India grew 43 per cent in the second quarter of 2018, said an International Data Corporation (IDC).